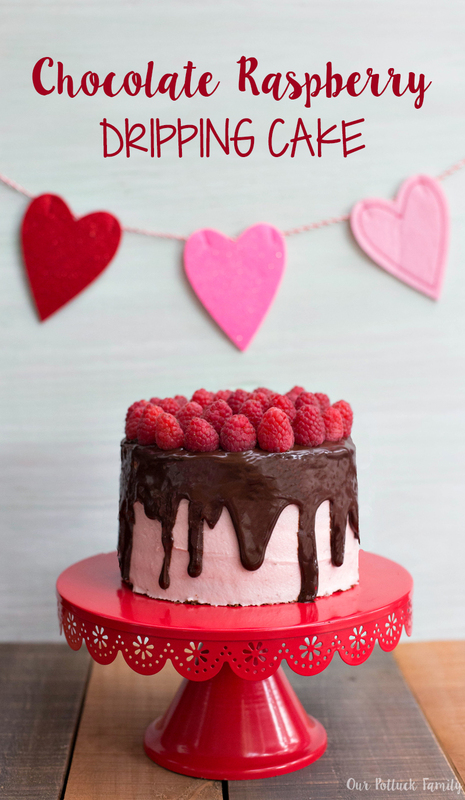 This Chocolate Raspberry Dripping Cake makes a wonderful Valentine’s Day treat! Valentine’s Day is coming up soon! Can I be a bit cheesy and say I love Valentine’s Day? Since our very first Valentine’s Day, Richard and I have always made delicious food the center of the celebration. 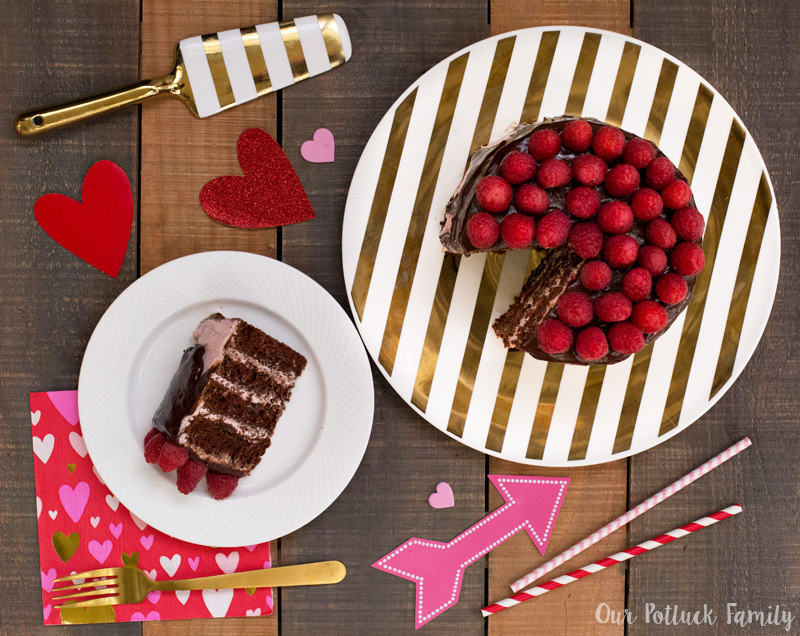 This year, I came up with this *delicious* Chocolate Raspberry Dripping Cake, the perfect dessert for a day of love with your partner. 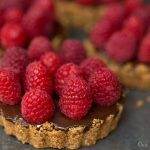 Tart raspberries, sugary buttercream, and bittersweet chocolate create a decadent, balanced dessert. 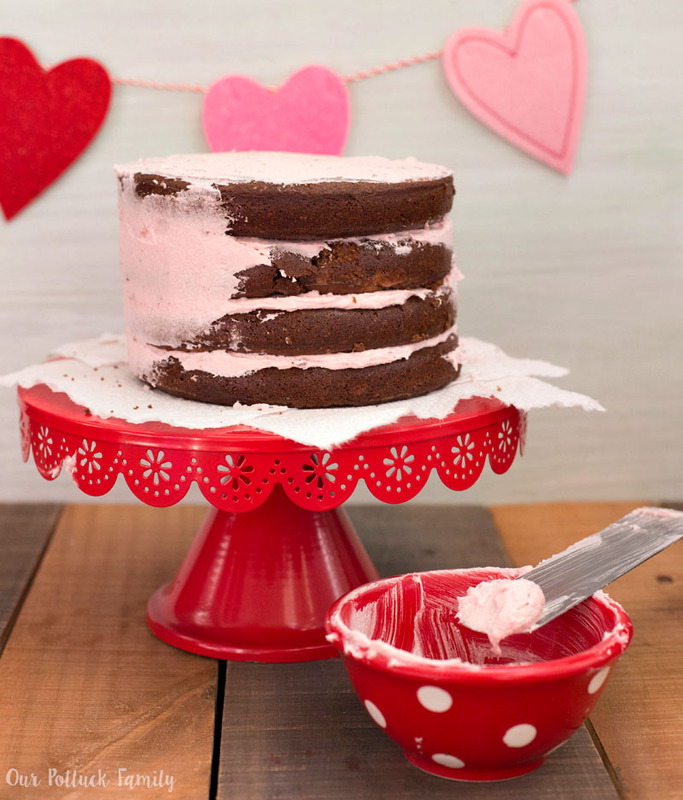 To make the chocolate cake, preheat the oven to 350 degrees F. Begin by combining the boiling water and cocoa powder. Set aside and allow this mixture to cool. In a stand mixer, cream together the sugar and butter. When the mixture is light and fluffy, add the eggs one at a time, continually mixing. In a separate bowl, sift together the flour, baking soda, baking powder, and salt. Add this mixture to the stand mixer, alternating with sour cream. Finally, add the cocoa mixture until just combined. Rub the inside of four different 6-inch cake pans with the butter wrapper and divide the cake batter among the pans. Cook for about 20 minutes. Set aside to cool completely. 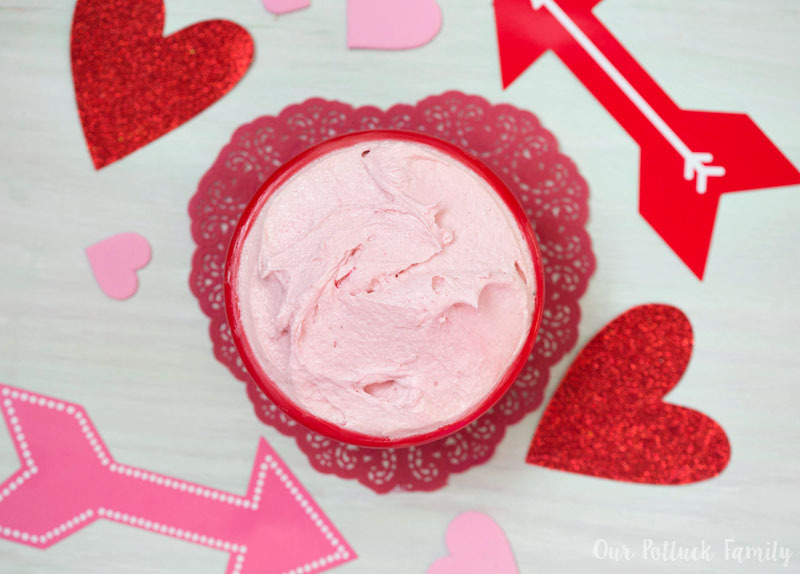 To make the raspberry buttercream: In a blender, puree 1/2 cup of strawberries. Pass the puree through a fine-mesh sieve and set aside. In a stand mixer or hand-held mixer fitted with a whisk, beat the stick of butter with 2 cups of powdered sugar. Add 3 tablespoons of the raspberry puree. 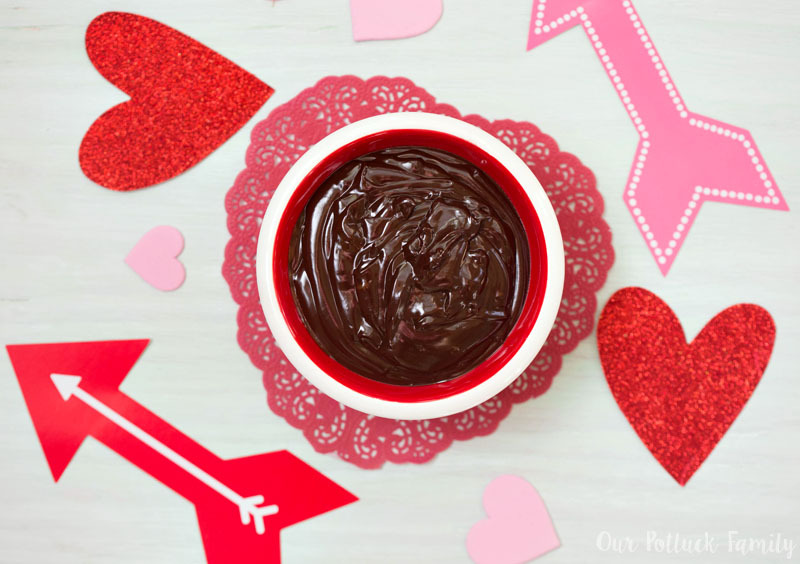 To make the chocolate ganache: Heat 1 cup of heavy whipping cream over on your stovetop on a low heat. 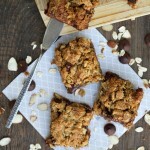 Add the bittersweet chocolate and whisk until just combined. Set aside to cool completely. Now you’re ready to assemble the cake! 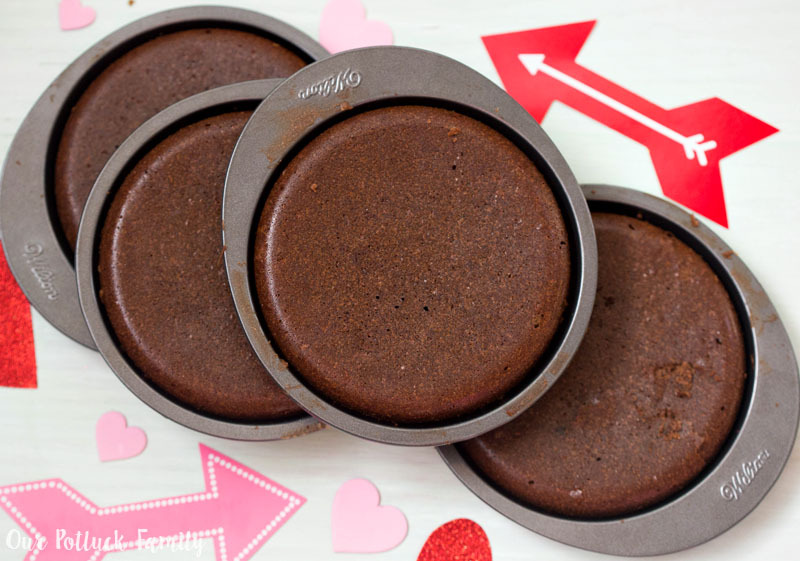 Once the cakes have cooled completely, remove from pans and cut the tops to create smooth, flat cake rounds. 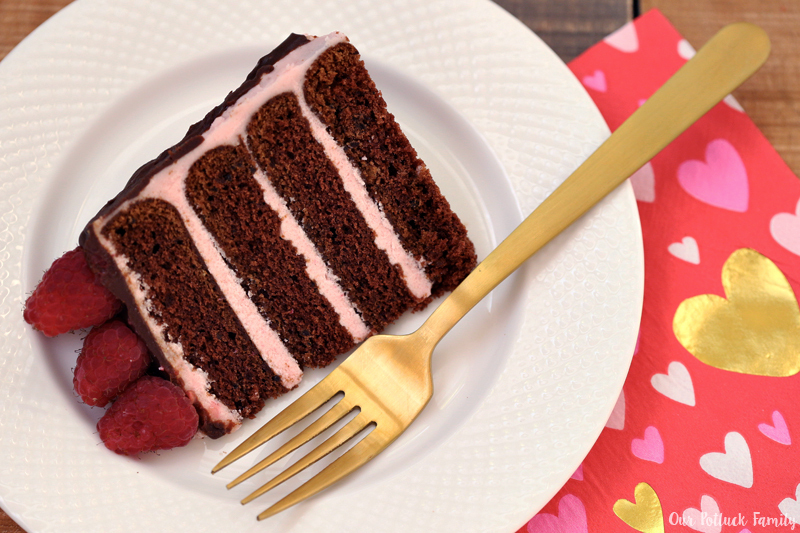 Between each cake, spread a thin layer of the raspberry buttercream using an offset spatula. Then spread a thin layer of buttercream across the top and around the sides. Place in the refrigerator to set. When the buttercream has set, pour the ganache on top of the cake. Using the offset spatula, gently push the ganache over the edge of the cake so it drips down the sides. Repeat until you reach your desired appearance. 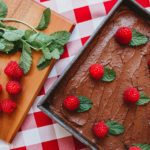 To finish, top with raspberries. 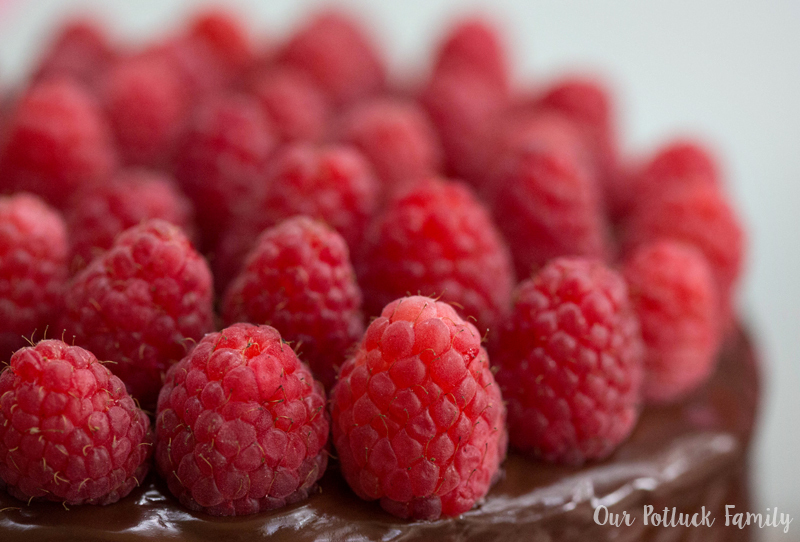 Now your Chocolate Raspberry Dripping Cake is ready to serve! 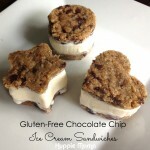 You can refrigerate ate it until it is firm or enjoy the soft texture of the cake, buttercream, and ganache. 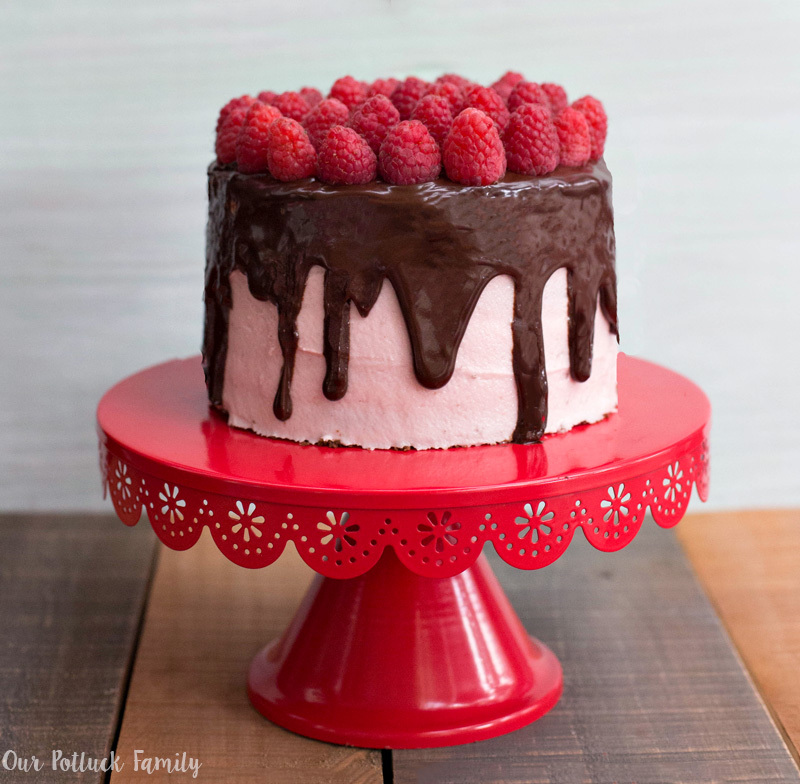 Want to make this Chocolate Raspberry Dripping Cake? 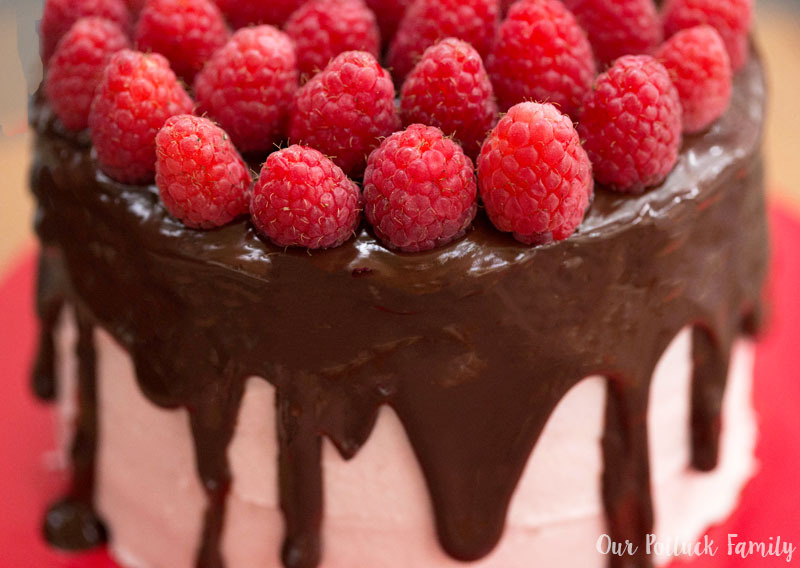 Pin this Chocolate Raspberry Dripping Cake image below!